Great offer just landed for all fabulous customers! 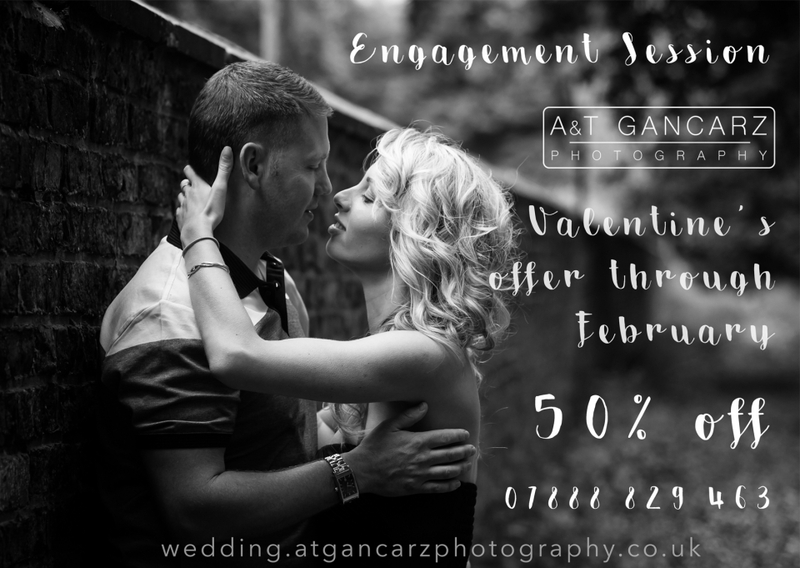 When you book your engagement shoot with us you will get 50% off its original price which is £200. If you think that £100 for engagement shoot is bargain read this – if you book wedding shoot after your engagement session you can write off its cost from your wedding package! It means you can have your engagement shoot with all the pictures for absolutely FREE! All our wedding packages are carefully designed to offer you the best service possible. Please remember that we price up each wedding individually and package can be adjusted and upgraded. You can choose from our selection of various Wedding Albums and enlargement prints/canvases, etc. Just contact us and we will be delighted to assisting you.